MSE Creative Consulting Blog: Why Do the Completely Wrong Global Warming Forecasts Never Diminish the Confidence of the Doomsayers?? Why Do the Completely Wrong Global Warming Forecasts Never Diminish the Confidence of the Doomsayers?? 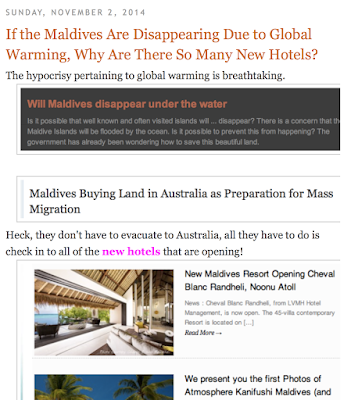 For two decades, the Maldives Islands have been the "poster nation" for global warming-caused sea level rise. The islands were supposed to drown and, even before, the forecast was for the drinking water to run out by 1992. 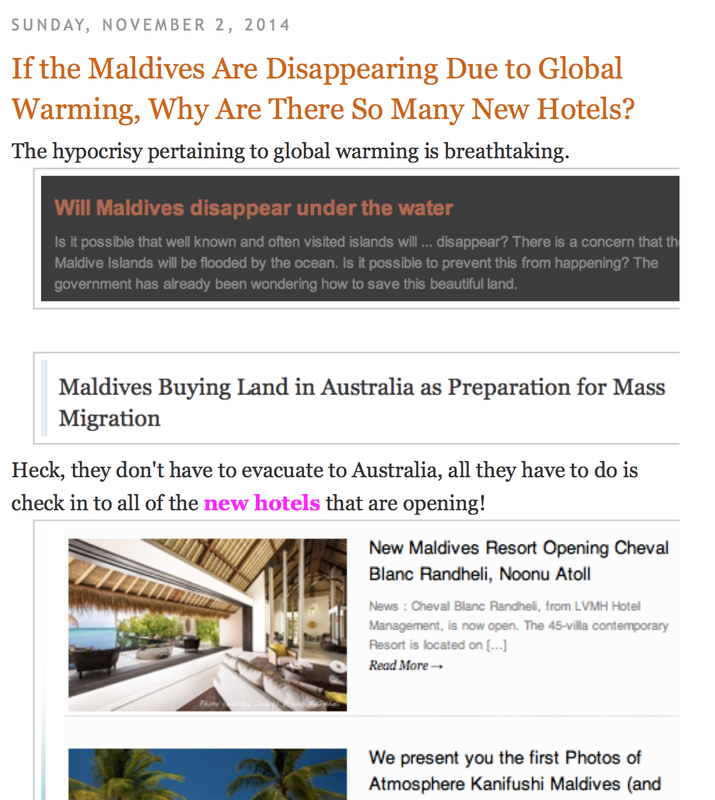 In 2014, I ran a story about the hotel building boom in the Maldives Islands and questioning this common, but incorrect, assertion. I pointed out the smart money was betting the global warming doomsayers were completely wrong. What I didn't know at the time was, not only are the Maldives actually growing larger. When the prediction of the "drowning Maldives" was made the population was about 200,000. Today, the population is 417,000. Time after time, the forecasts of global warming catastrophe fail to pan out. Global warming is primarily about power and politics, not science.